As you can tell, I was having fun "hanging out" with the trolls. I am s-l-o-w-l-y compiling our travel photos. Do you know we took nearly 3000 photos combined? 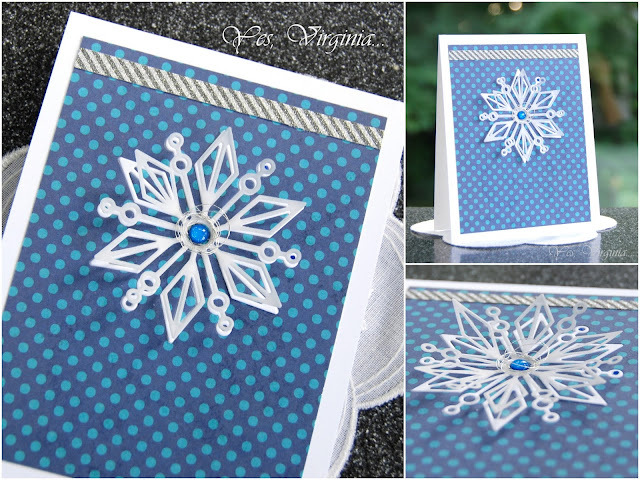 On to the cards today....I am popping in to share more snowflake creations . If you miss seeing my two previous cards, just click here. 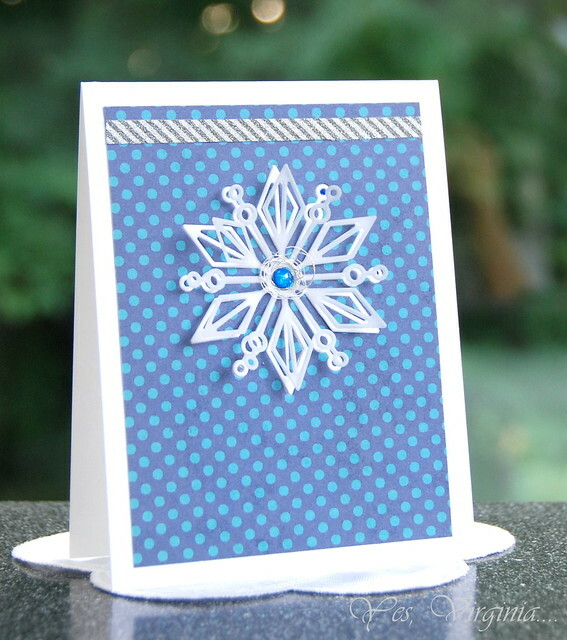 This Nadine snowflake die is one of the new release from Simon Says Stamp. 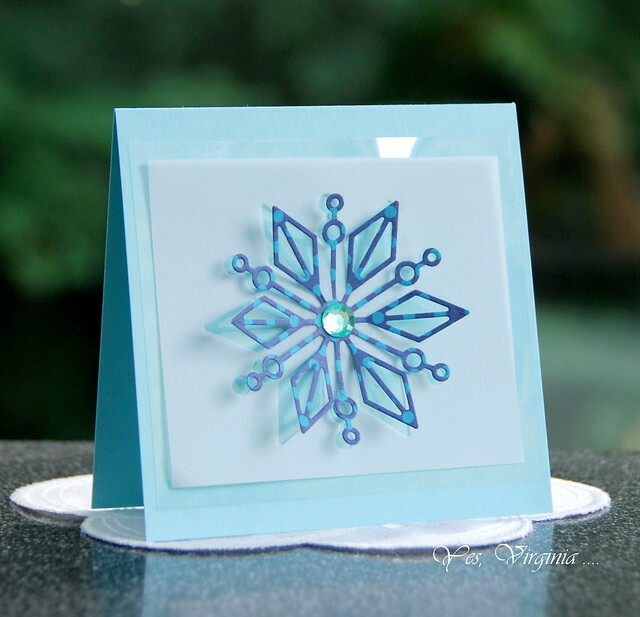 I wanted to explore the idea of using transparency with the snowflake die. These two cards are pretty much self-explanatory. All the details are in the layering. I love how transparency adds that extra shine and lightness to the design. I chose pattern paper to make this super easy to do. And my 2nd card has inlaid diecut (the bottom layer). I added an extra snowflake vellum to the snowflake and built a small nest of circle with silver thread and a blue enamel dot. Craftsy is having an online card classes on sale (today is the last day)! These two classes are 50% off! If you want try something new and get out of your comfort zone, try something different, these are fun and inspiring. We, kiddos and I, love seeing your travel photos! I think the trolls are a hoot. Especially with Alexa sitting on their feet and you hanging off their nose. Very funny. Can't wait to see the other photos. (Maybe not all 3000, though.) 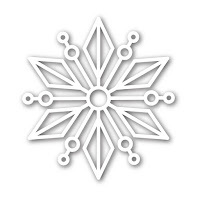 That transparency behing you first card adds a fascinating dimension to that snowflake. You can even see the reflection of it in the picture. Both cards showcase that die beautifully. That picture of you made me smile big time Virginia! Your snowflake cards are so beautiful! What fun photos Virginia!! I love those trolls!! Your cards are so pretty too. I like the simplicity and the way you used the vellum/transparency to make the snowflakes so "light" looking. Beautiful designs! Two really gorgeous cards! I love how you always find several ways to play with one die or stamp, and that each of your ideas are so creative! After seeing what you've done here, this snowflake is going right onto my wishlist! Thanks so much for your inspiration! Beautiful cards. You've showcased the snowflake dies perfectly. More great snowflake cards! I love these! Fun photos of the trolls!! Terrific cards today too! 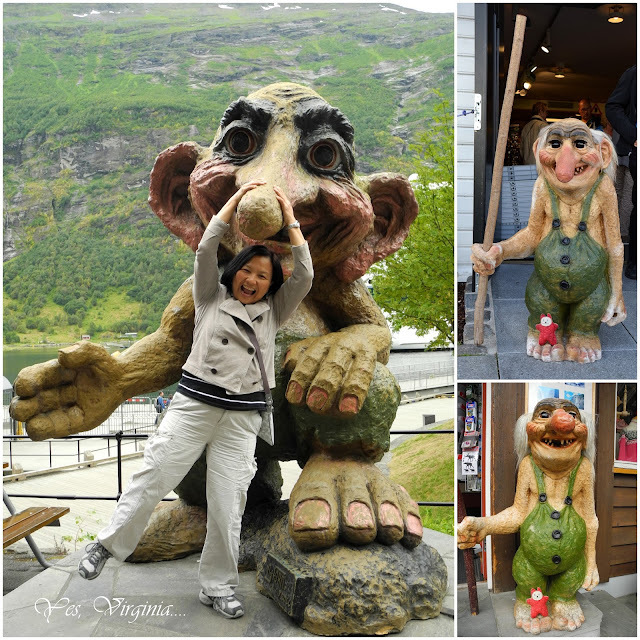 what awesome photos of you and the trolls. Great cards too! Wonderful photos of what looks like a fabulous vacation! Would love to see more pics as the DH and I are contemplating our next vacation destination and Norway looks A-MAZING! P.S. I am loving your cards with that terrific new SSS snowflake die! Virginia, these are great cards. Beautiful snow flake cards!! And yes would love to see your vacation photos! EXQUISITE cards - beautiful details and awesome colors!!! Loved seeing you and the trolls - made me SMILE, thank you for that and for being so amazing!!! I, for one, am an 'armchair' traveller and wo9uld be interested in seeing more about your trip. I love seeing your fotos Virginia! And I'd love to see the new ones! TFS and BTW lovely cards! Your photos gave me a giggle, and yes these trolls are cute! Love your snowflake cards and now that die has nosedived onto my 'never ever gonna end' wish list'!! lol!! Love seeing pics!